This exhibition features contemporary art devoted to word play. The paintings, sculptures and prints on display represent a cross-section of artists working today at the fertile intersection of art and language. Focusing our attention on words— often words alone—they convey a broad array of messages, from the poignant to the absurd. Among the artists included are Robert Cottingham, Leslie Dill, Nancy Dwyer, Jasper Johns, Bruce Nauman, Tim Rollins & K.O.S., James Rosenquist and Ed Ruscha, each of whom have long used text as a dominant element within their work. This exhibition is drawn entirely from the Hallmark Art Collection, which includes a wealth of text-based art, reflecting Hallmark’s long tradition of creative writing and an ongoing commitment to the fine arts of lettering and typographic design. Word: the Art of Language is on view through November, 2016 at the Hallmark Art Collection Gallery located in the Hallmark Visitor’s Center in Kansas City. The exhibition is free and open to the public. More information about the Visitors Center can be found on their website. 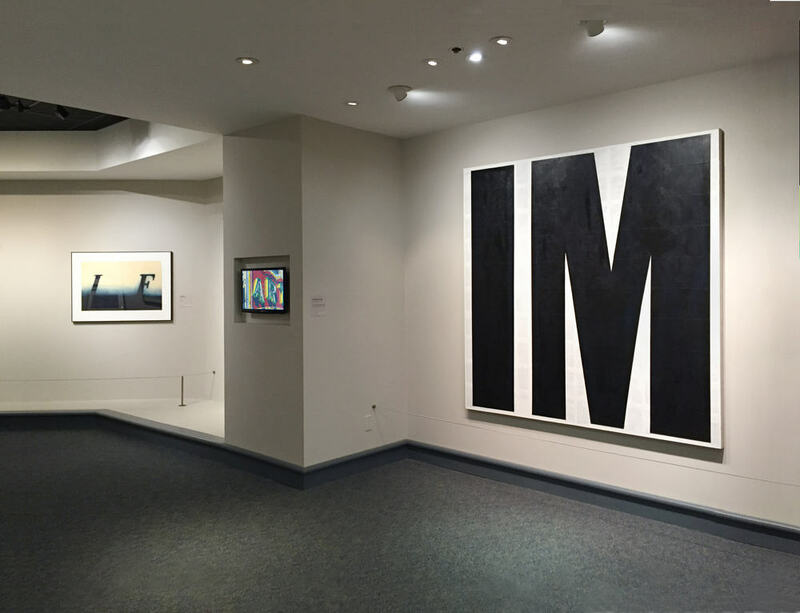 Installation view with works by Ed Ruscha and Tim Rollins & K.O.S. Preview image on News page is detail image of Nancy's Dwyer's GodDog, 1987.